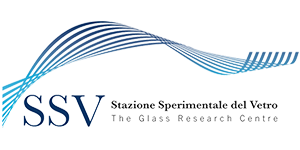 Stazione Sperimentale del Vetro offers its support in the definition of quality control plans or protocols, both for raw materials and finished products, specifically tailored depending on the industrial sectors of competence. In relation to the type of product, market, reference standards and quality control criteria chosen by the company, the most appropriate sets of analyses and their respective frequencies are suggested. If requested, SSV is also capable of providing technical support for the evaluation of supply specifications. With regard to analytical support for the quality control of Raw Materials and Products, SSV offers a range of services going from individual analyses on request, to framework collaboration contracts: the latter includes also the joint definition of methods and time-schedules for returning results, with the aim of providing the service that best meets the needs of the customer, achieving maximum integration with its technical and production structure.